This time of year is always full of Save the Dates for me. 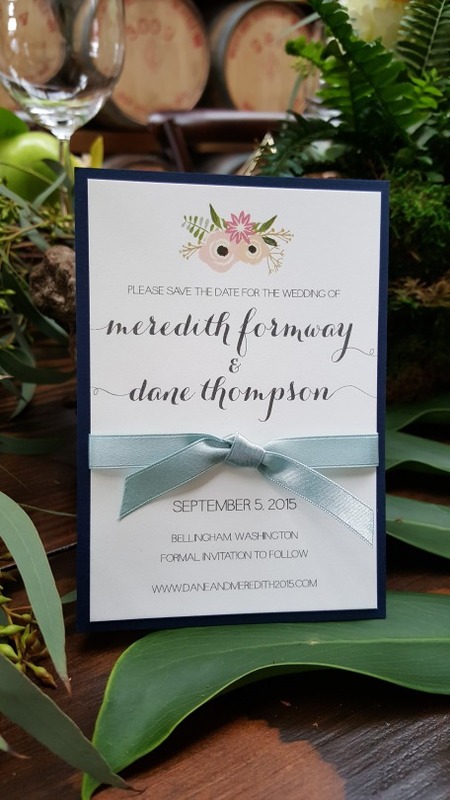 If you are planning a summer wedding, now is the time to be mailing out those save the date cards (if you haven’t already!) I thought I would share some fun ideas with you today versus the typical photo style save the date. Nothing wrong with that style – they are tried and true and what most people choose to do. However, if you want to have a little fun and really start to set the tone for your wedding, why not think outside of the box a bit! Why not have a little fun with your save the date and put your personalities on full display! I love these ideas that I have worked with couple over the years that have gone beyond the traditional photo and text style save the date! 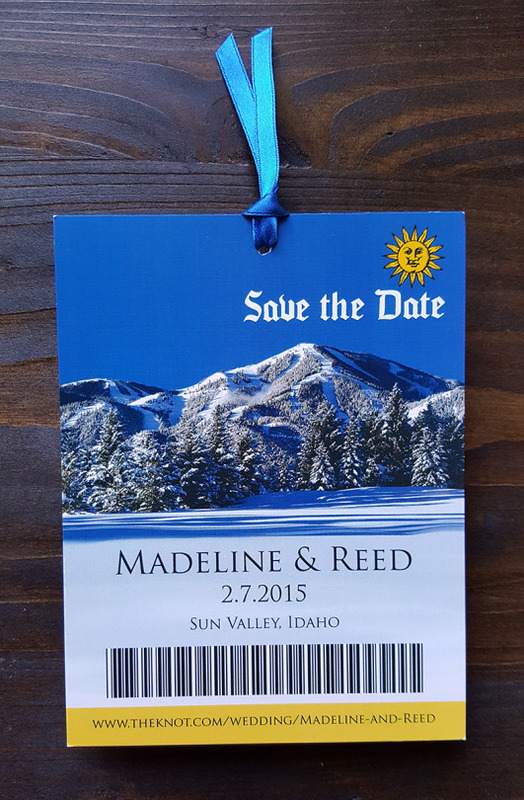 This ski pass themed save the date emulated the ski pass at Sun Valley Resort where the couple got married. I’m sure their guests were booking their travel plans as quickly as they could once they received these fun save the dates! 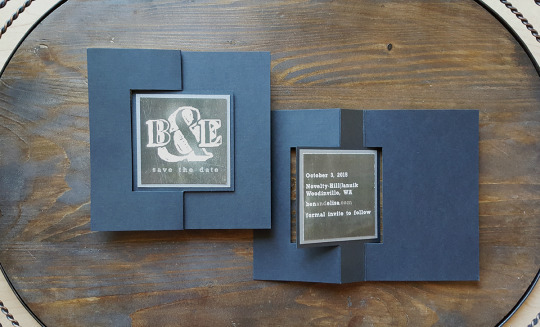 This save the date twists to reveal the back side creating a fun interactive almost pop-up style save the date! Add to that the cute chalk board design and we had a unique, one-of-a-kind save the date that perfectly reflected this Bride and Groom! 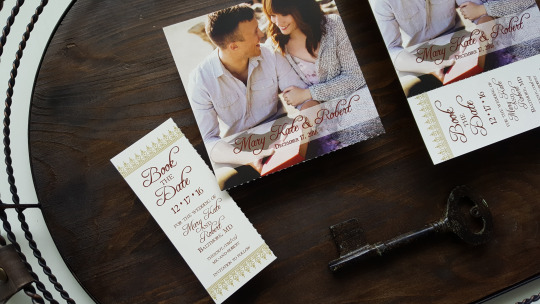 This sweet couple who hosted their wedding in a historic library, set the tone with a tear-off bookmark save the date! Talk about tying the knot in style (haha). These sweet little save the dates were small and dainty and just over the top cute with their flower graphics and fun ribbon tie. And this boarding pass save the date was the perfect way to get this couple’s guest list excited and ready to fly off with them to their Hawaiian wedding! Like what you see? Ready to get your unique save the dates going? Schedule a consultation! I will help you create something that is sure to set the tone for your big day! Plus we can talk pricing, answer any questions you have and make sure that your wedding stationery is super fun, easy and stress-free!